All signs point to a supernova. A stellar explosion 2 million years ago that flooded our neighbourhood with charged particles could be the answer to several cosmic puzzles. For years, astrophysicists have struggled to explain why there are so many high-energy cosmic rays – speeding charged particles that hit Earth from all directions. We’d expect most to have fled the galaxy long before reaching us, yet we see a lot of protons, as well as the antiprotons and positrons they produce in collisions. Researchers have previously proposed pulsars and dark matter to explain this oddity, but neither provides a complete solution: pulsars can’t explain the antiprotons, and dark matter can’t explain the antiprotons or positrons. A supernova could act as a local cosmic particle accelerator, but previous models haven’t been able to fully account for the number of cosmic rays. That might be because the distribution of these rays is uneven throughout the galaxy, says Dmitri Semikoz at the Astroparticle and Cosmology Laboratory in Paris. It’s like watching a firework display and assuming that the sky looks bright and colourful everywhere, instead of looking to see if someone recently set off fireworks nearby. Semikoz and his colleagues modelled a nearby supernova and predicted the cosmic ray energies we should see on Earth between 5000 and 10 million years later. Then they checked these against data from several current experiments. The best fit was a single supernova exploding between 2 and 4 million years ago. And we already know about a supernova that fits this description. Parts of the deep ocean crust are thought to contain an isotope of iron that is the fingerprint of a 2-million-year-old supernova. 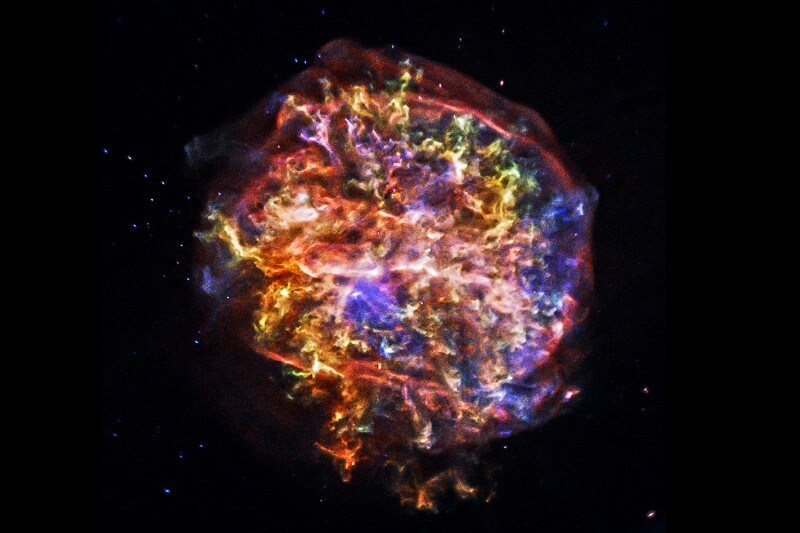 The team suggests that this supernova could be the source of the cosmic rays. The team’s model generates several other predictions about the positrons we should see, so the next step will be to test those by gathering more data, says Kachelriess.